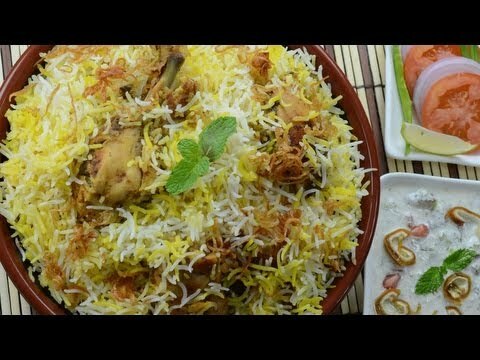 This is kind Chicken Biryani is restaurant style of biryani they wont do dum process they cook chicken separately with same masalas which we use for chicken biryani and rice will be cooked separately if the order comes they mix rice and chicken together and serve because the same rice can also used for vegetarians. Ginger garlic paste – 1 tablespoons. Cumin powder – 1 teaspoons. Coriander powder – 1 tablespoons. Red chilly powder – 2 tablespoons. Golden fried onions – 150 grams. Pepper corn – 6 numbers. Lichen (kalpasi) – 1 teaspoons. Shahi jeera – 1 teaspoons. Cinnamon sticks – 2 numbers. Star anise – 3 numbers. Bay leaf – 3 numbers. Basmati rice – 500 grams. Coriander chopped – 1 bunch. Mint chopped – 1 bunch. Green chilly – 5 numbers. Lime juice – 2 tablespoons. Take a bowl add chicken pieces and add made masala, chilly powder, ginger garlic paste, turmeric, salt, coriander powder, curd, chopped mint leaves, coriander leaves, fried onions, green chilly, lime juice, oil, and mix it well, and put it in the refrigerator over night. Add layer of chicken marinate and then this layer of rice. 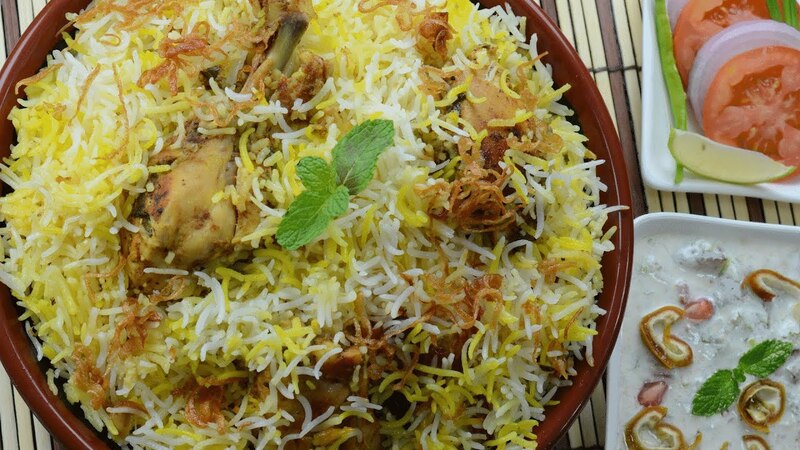 Sprinkle fried onions, and add dissolved saffron strands in milk , then add ghee (optional), kewra water, rose water and put the lid on which is lined with sticky dough for dum. First cook it on high for first 4-5 minutes then reduce the flame to low, use a griddle under this for even heat transfer. And cook it for 25 to 30 min and switch off the flame. After 40 minutes this is ready for opening the seal of the lid. Never mix the biryani just check it removing the top rice and checking the bottom of the vessel for burnt marks.